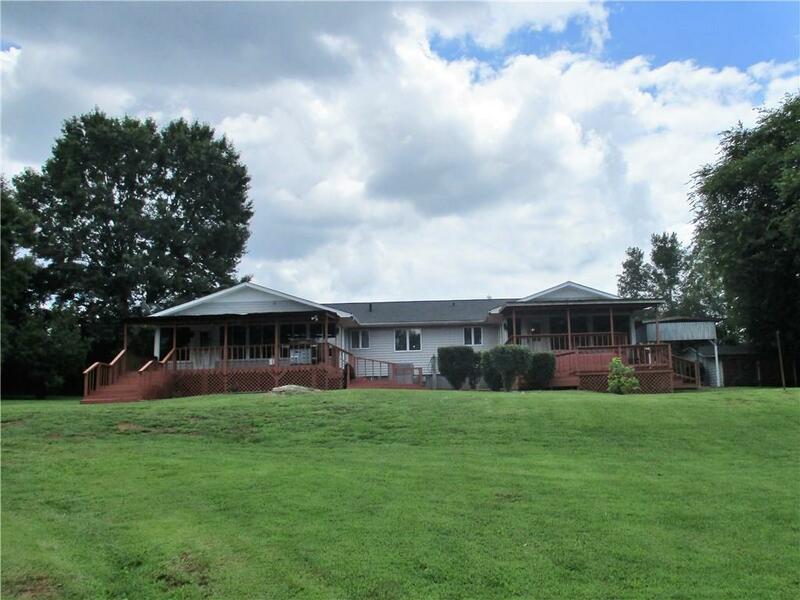 BUYERS FINANCING FELL THRU - But here is your chance for a private hideaway with acreage, a pond(with fish), a creek, covered decks, a patio overlooking the pond. An RV pad with full hook-ups adjacent to the two-car garage that would work for winter storage. Two outbuildings, one can serve as a workshop. A three-car carport. Spacious home that features - 3 master en suites and true hardwood floors thru out to keep the home low maintenance. Convenient location between Atlanta and Chattanooga. Open concept floor plan. A must see.